This slim belt, featured in the Cruise 2019 presentation, is crafted in the Intrecciato Checker workmanship, a perfect complement to the season’s lively prints. 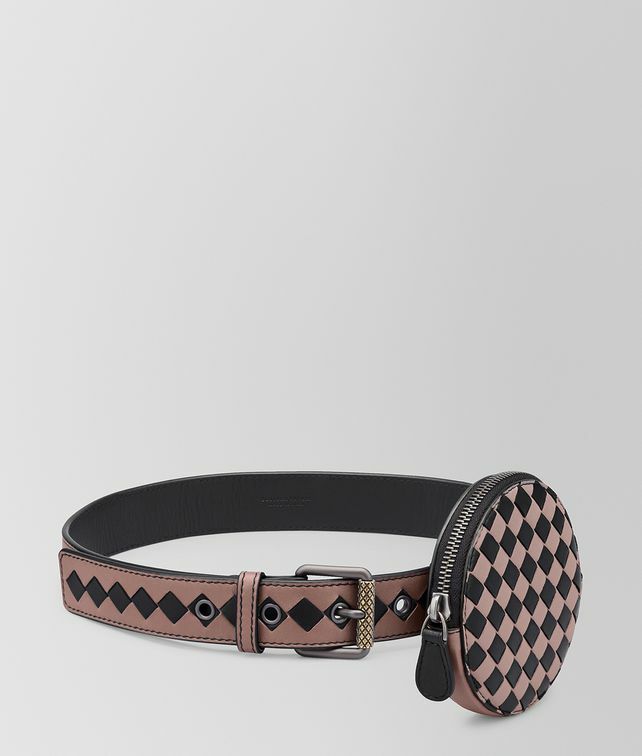 The belt is designed to wear with the coordinating Checker coin purses and card cases, which come with a loop on the back. Finished with an engraved dark gold finish buckle and brunito eyelets.